Ukrainian Orthodox Church of the USA - The Church Commemorates Her Beloved Hierarch! The Church Commemorates Her Beloved Hierarch! 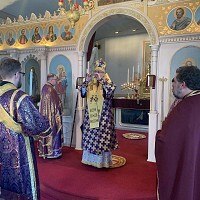 On Monday, May 3, 2010, the seminarians of St. Sophia Ukrainian Orthodox Theological Seminary gathered at the grave site of Metropolitan John (Theodorovich) of Blessed Memory, for the memorial service marking the 39th anniversary of his repose in the Lord. The Memorial Litia was served by His Grace Bishop Daniel in the presence of Consistory President, His Eminence Archbishop Antony, and the assistance of Very Rev. Fr. John Udics, a pastor of the Nativity of the Mother of God parish, South Plainfield, NJ and Seminary Dean of Residence. At the conclusion of the memorial service, the Archbishop spoke of his memories of Metropolitan John who was instrumental in the Archbishop’s vocation to the Holy Priesthood. On May 3, 2011, the Ukrainian Orthodox Church of the USA will mark the 40th anniversary of repose of Metropolitan john of blessed memory. 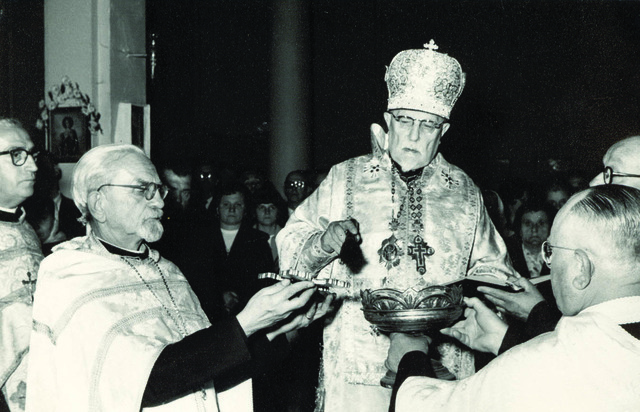 In May of this year our Church marks 39th anniversary of death of His Beatitude Metropolitan John (Theodorovich) of blessed memory, who was one of the founders of our Holy Church in the US. Having reviewed some of our archival materials, we offer you a historical account of Metropolitan’s life and ministry as well as his funeral services. On the third of May 1971, at 7:30 in the morning, in a Philadelphia Hospital, the Primate of our Church of the U.S.A., His Beatitude, John, Archbishop of Philadelphia and Metropolitan of the Ukrainian Orthodox Church of North and South America, fell asleep in the Lord. The Funeral Services and Eulogies on his behalf, witnessed unto the entire world the extreme sorrow with which the clergy and faithful accepted his departure from this life. Thousands of his spiritual flock along with all the clergy and others of other churches and other faiths paid last homage while he lay in state. Ukrainians of different faiths came to pay their last respect. 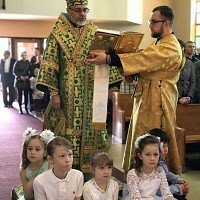 Faithful of other Orthodox Churches with their hierarchies and clergy participated in prayers. These were those who knew and respected him. These services, eulogies, farewells and sincere sorrows plaited a never withering wreath, which all of us have placed upon his fresh grave. Metropolitan John was born in the town of Krupets, October 6, 1887. Krupets, is a community of Volyn, where his father served as a priest and where others of his ancestry also served the church. Here in this community he began his studies and later entered the Seminary Preparatory school in the city of Klevan. From there he went on to the Zitomir Theological Seminary from which he graduated with high honors. Following graduation, he continued pedagogical studies and received his teacher’s certificate, which he utilized by teaching for five years in the schools of the Duben and Ostros Districts. 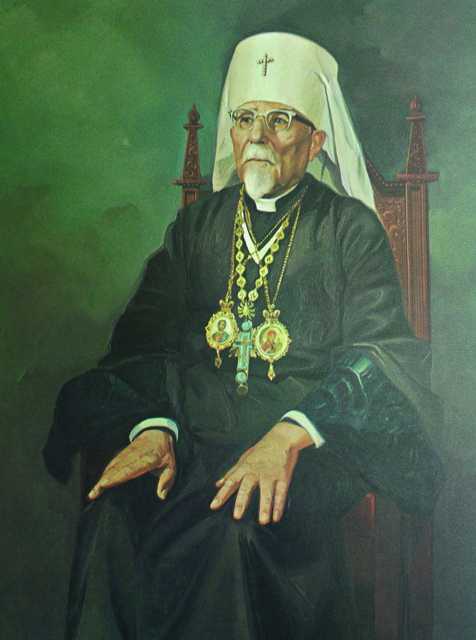 He was ordained a Deacon, in 1914, by the Archbishop of Volyn, Evlohiy and was ordained a priest, May 10, 1915, by the Bishop of Volodymyr, Thaddeus. During the First World War, he became a widower in August of 1915. Following this tragedy, he joined the army and served as a priest and with the Red Cross in the Southwestern front. Father John later joined the Ukrainian freedom movement and became an active participant until the end of actual armed contention. In 1917, he was appointed Chaplain to the Ukrainian Division of the Russian Army. Accordingly he became the Chaplain of the famous division (Sirodzupannikiv), and then he was assigned Directing Chaplain of the right-bank front, which included the Kholmska, Podilska and Kiev armies of the Ukrainian National Republic. Along with many of the soldiers of this army, Father John suffered Typhoid Fever in 1917. Following the tragic war against Moscow’s Bolsheviks, Father John was assigned to a parish in Mitinsk, in the district of Starokostantiniv. At this time he began his activities along with the Ukrainian Church movement. He was a participant in the Diocesan meeting in Zitomir and the All-Ukrainian Orthodox Church Congress of Kiev. He was assigned by this Council to organize parishes in Volyn and Podyl’. This assignment was extremely dangerous because of Bolshevik control. He was placed in a concentration camp and only by a miracle was he saved from being shot to death. 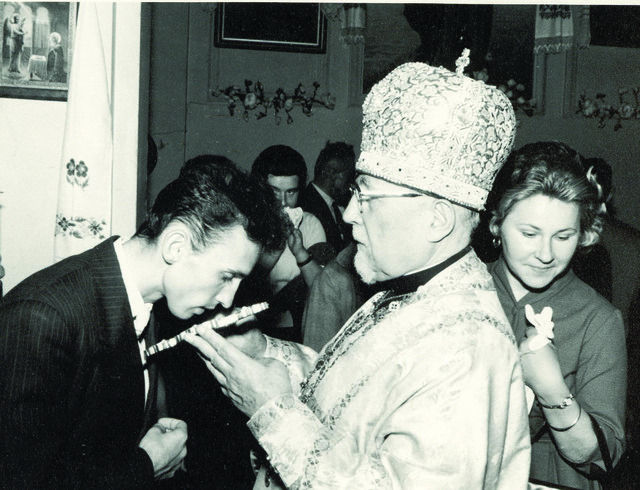 Upon his release from camp just before the opening of the First All-Ukrainian Church Sobor in Kiev, he immediately made arrangement so that he could be a participant of the Sobor. He was particularly active during this Sobor and became one of three candidates who were to become Bishops of the Ukrainian Autocephalous Orthodox Church. He was consecrated Bishop by the Metropolitan of All-Ukraine, Wasyl Lipkiwsky and Archbishop Nestor of Sharayiv on the 26 October 1921. At this time he became the Bishop of the Podil’skoy Eparchy. This Eparchy consisted of only eighteen Ukrainian parishes. 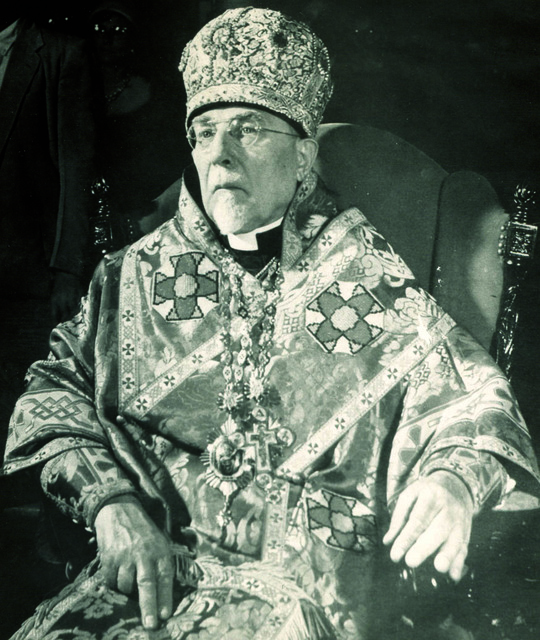 In 1923, the Podil’ska Eparchy had over 300 Ukrainian parishes and it was in this year that the Ukrainian people of the U.S.A. were in need of a Bishop. 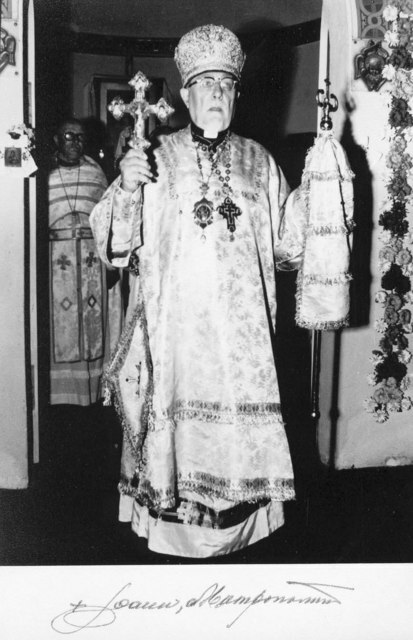 At the request of the American Ukrainians, Bishop John, was assigned by the All-Ukrainian Church Council to Archpastoral duties in the U.S.A.
Archbishop John arrived in the United States in February of 1924 and served a First Divine Liturgy in the Ukrainian Orthodox Church of the Holy Ascension in Newark, New Jersey. The Sobor of the Church of America which took place on the 11–12 June 1924, elected the Archbishop John to be its Primate. 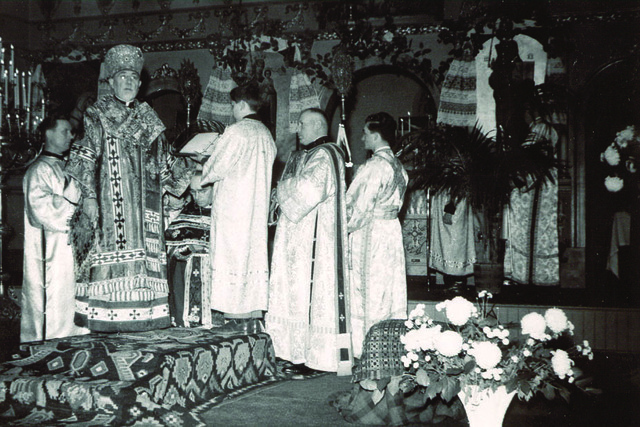 The Sobor of October 1950, which united into one Metropolia the majority of the Ukrainian Orthodox parishes in the United States, elected Archbishop John as Metropolitan. He served this Metropolia until the day of his death – for 47 years. During these years of continual growth of our Church in the United States, the Orthodox Ukrainians of South America were received under his leadership. 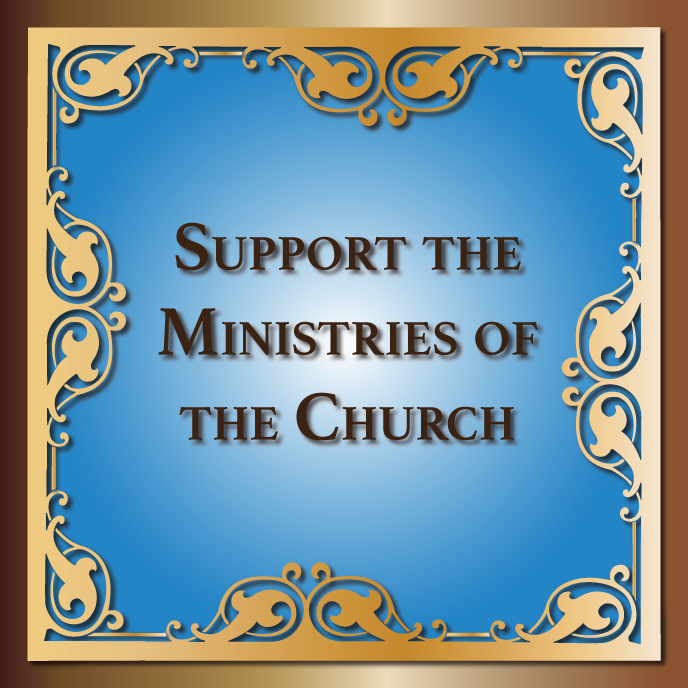 During this time there was not only an increase in the number of parishes in the USA, but a Church administration was organized as well, i.e., the Consistory and its various commissions. The continued expansion and organization of Ukrainian Orthodox life in many countries of the free world, especially after the first world war, became possible because Metropolitan John’s untiring labors in Christ’s Vineyard throughout the USA and Canada. He served Canada twenty-three years, and in the USA forty-seven years. We possess so many of the facts, which distinguish Metropolitan John in the history of the Ukrainian Nation, Her Church, and her forefathers. His many years of Archpastoral service not only enriched our Churches’ spiritual treasury, but guided her continuously into a bright future. Bishop Daniel Visits St. Luke Parish in Warners, NY! Ukrainian Sacred Music Seminar Hosted by the Seminary!